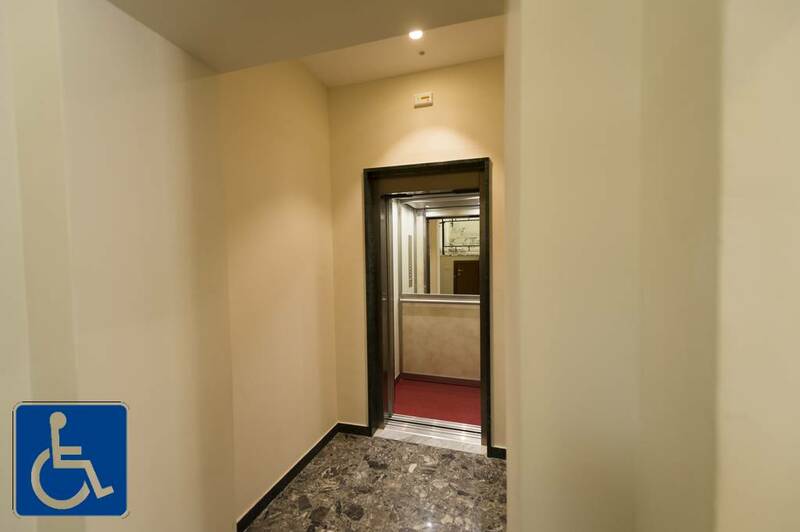 Room number 101 is situated in the ground floor in the main building A. The room is completely barrier-free. 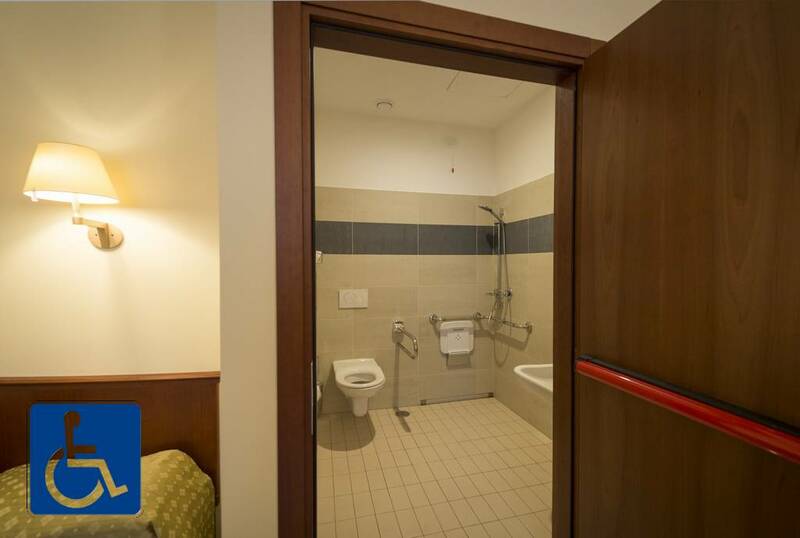 It is a commodious room with two separated beds and with own bathroom adapted for the disabled guests. The room is equipped with towels, soap and shampoo. The dining room is situated in the building B. The entrance to the building is equipped with the lift platform. 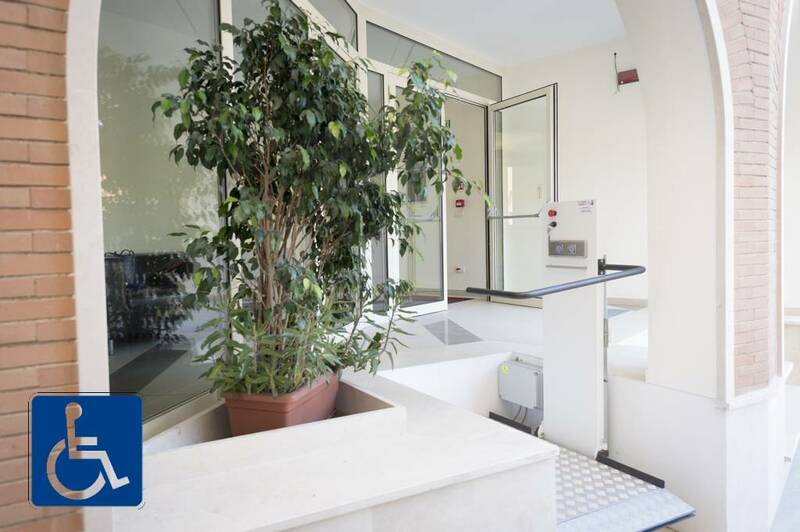 The building A is equipped with the lift that makes the access to 1st and 2nd floor easier. City tax fee not included! Pursuant to Legislative Decree n. N. 196/2003 (Code regarding the protection of personal data). The Religious Center Boemo declares that the processing of information concerning you will be based on principles of correctness, lawfulness and transparency and protection of your privacy and your rights. All data communicated will be processed exclusively for fulfilments related to the activity of the structure requested by the customer. Any refusal to sign this authorization does not involve any consequence except for the impossibility of using the services offered.